24 Nov 2017 --- Over the past months, Naturex has moved to boost its presence in the natural nutrition market with the acquisition of Swedish Oat Fiber, a specialized manufacturer of oat dietary fibers, oils and proteins, as well as the signing of a global distribution agreement via its Open Innovation program (Ingenium) with a Colorado-based start-up, MycoTechnology, for their PureTaste, shiitake mushroom plant protein created by patent-pending fungi fermentation technology. 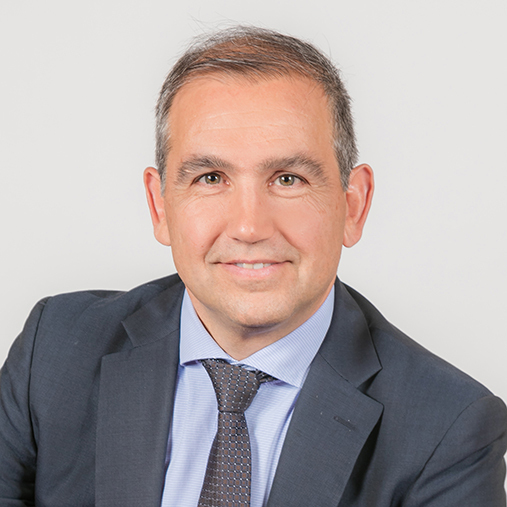 NutritionInsight spoke with Olivier Rigaud, CEO at Naturex, about the company’s recent acquisitions and how these fit in with the company’s portfolios and growth strategies. There are a number of drivers behind the Swedish Oat Fiber acquisition, Rigaud notes. “The second important driver behind this acquisition is that dietary fiber is part of a balanced diet. We all know that most consumers in the developed world don’t eat enough fiber. We see a huge opportunity for oat dietary fiber, versus more sophisticated soluble fibers,” Rigaud continues. In that context, there are some regulation changes being made today, primarily in the US, so that oat fibers are now really recognized as dietary fibers, Rigaud notes, adding that Naturex sees real opportunities to develop the business when compared to ingredients such as inulin. 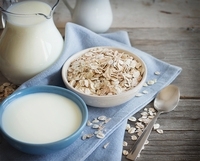 Click to Enlarge“The Swedish Oat Fiber portfolio will complement this offering with high-content, protein-rich flours that are minimally processed. We are eager to build up a specialty, high-end plant-based protein portfolio. Finally, we can leverage oat oils via the personal care division. We are already a big player in natural oils for cosmetics today, and this can make for a great new addition to the Naturex oil portfolio,” Rigaud says. Naturex’s intention is to leverage the company’s international sales network and application lab network, which currently counts 11 worldwide, to further develop and promote oat ingredients, Rigaud says. “We see this as a growth business where we can leverage our commercial footprint, keeping in mind that it’s a very good fit with our current organization. We have an interest in pushing into both the nutrition and food markets, in both the proteins and oat flour fraction space,” Rigaud states. To this end, Naturex has made three acquisitions this year and its approach is targeted at complementing its four categories: natural colors, natural preservatives, fruit & vegetables and nutrition. “Of the three we recently accomplished, two are fruit & vegetable based and the third is in nutrition. We are of course still attending to and strengthening the traditional Naturex categories. But we are also eager to build up a specialty natural fibers and high-end plant-based protein portfolio based on our internal organic research,” Rigaud notes. There is a strong rationale behind the platforms Naturex works with, Rigaud asserts. “Either they combine synergies on sourcing, processing or extraction, or very often on the commercial positioning. The fruit & vegetables platform is not just a direct go-to-market area,” he explains. “This is where the combined expertise of our strong position in antioxidants, as well as colors and phytoactives, is helping us to resolve many issues. We are increasingly taking a solutions approach to helping customers to develop products. I would also add that today the border between nutraceuticals and functional foods is blurring,” Rigaud notes. Speaking on the company’s innovation pipeline, Rigaud points out Naturex’s decision to reenergize the pipeline a couple of years ago with a target of 5 percent of its turnover spending going back into R&D, most of which is focused on research. “Last year we launched six additional clinical studies; this year it will be eight. We have over 15 studies running at the moment that will come to a conclusion in the next couple of years,” he states. Naturex sees a lot of creativity and is attuned to the way that consumers are changing their habits around transparency and sustainability, according to Rigaud. “Profit sharing is key in order to ensure that the product is sustainable from the farmers’ perspective, but it is also about ensuring environmental sustainability, supporting the local communities and ensuring that the product is processed in the right way. Today we have more and more customers visiting the fields with us to understand how our raw materials are grown and produced at our facilities,” Rigaud concludes.